Good evening your Royal Highness, members of the Bokhari family, staff and students of Ernest Bevin College (both past and present), and everyone else joining us this evening. Can I just begin by thanking the Bokhari family for organising this fantastic evening and to Ernest Bevin College for playing host and their help. Tonight, we’re standing in my old school. It’s great to see so many teachers here that I remember from my days here. As the local Member of Parliament, I get to visit all of the schools in my constituency quite regularly – but walking through the same gates you did as a teenager always takes you back. There have been a number of changes over the years. I am always relieved to return here and not see buckets lying around to catch the rain as it leaks through the roof. Or portakabins, as classrooms, taking up valuable playground space. I understand that school dinners are now edible, although I note that Harris and Hina Bokhari have taken no risks and have brought in outside caterers! One thing that never changes is the value we place on education. We all want children to have a good education – and that can mean getting good qualifications, studying to a level of higher education, maybe having the essential tools to learn a valuable trade or just opening one’s mind to new ideas – the joy of learning. But a good school imparts more than just facts & figures, exercise and equations – it helps unlock the potential to succeed in life, and to develop a student’s personality and social skills at an impressionable stage in their life. A great school does even more – it gives the student ambition, it gives him or her character and inspires them to be everything they can be. I am not sure if Mr Bokhari was aware of this saying but I suspect he was. And that is important to someone like me, who went to this school who saw too many of my peers and friends not able to fulfil the potential their talents deserved. And that’s one of the reasons I am here tonight to help launch the Naz Bokhari Legacy. As you will know, tonight’s event is (in part) a memorial to the life and work of Syed Nawazish Bokhari OBE – a highly regarded educationist. Friends and former colleagues knew him as Naz Bokhari – a dedicated Headteacher who had many great achievements, not least the vast improvements he oversaw at Ernest Bevin College. Of course, some in this hall- his former students – will know him simply as Mr Bokhari. Mr Bokhari was a great Headteacher for a great school, and tonight I would like to talk about how one person can inspire the lives of future generations. I first came across Mr Bokhari as a pupil of his in the 1980s. I was 13 and the previous head, Mr Potter had retired. When we were introduced to the new Head, Mr Bokhari, many of us couldn’t believe he was the Head of this school. He looked like many of our dads or uncles but to us Pupils our elders didn’t have such important jobs as Mr Bokhari did. I cannot underscore how important it was for many of us to see someone who looked like him having the most senior job in the school. I often talk about the importance of symbolic leadership. Having minorities and women in positions of importance and power is hugely important to encourage others, who are not represented in the numbers they should be in such positions – they give hope and aspiration, and also help in the fight against prejudice. BUT, it is so so important that that minority or woman is good at their job, because there is nothing worse than that person being poor at their job as it can set back the cause and can be another reason not to promote others. And Mr Bokhari was good at his job and respected by other staff and pupils; and that was important. But you know he wasn’t just content with his own position as the Head of this school. He got involved in ensuring that the staffing of the school was more representative of our community. 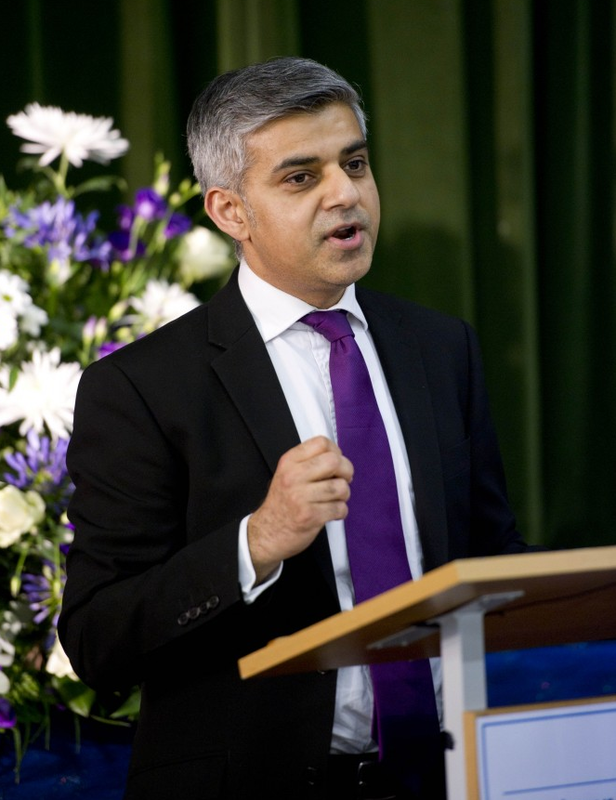 In his spare time he got involved in many others aspects of the local community; he sat on Wandsworth Council’s Police Consultative Committee and Racial Incidents Panel, and was also for many years a Governor at both my old Primary School, Fircroft, and also Gatton Primary School – which was the country’s first purpose-built primary school with an Islamic ethos. He was an Ambassador for the school in the community which was a very important role for the school but also as a Minority doing such a big job. It gave others confidence that it was possible to be British, an ethnic minority, a Muslim, an Asian, a professional and (most importantly) good at his job! And I am proud and pleased to say that I was on those Council bodies with him and also a Governor with him at Fircroft & Gatton. He would often have a quiet word with me after a meeting, where I’d behaved as an angry young man – he would tease me about trying to solve the world’s problems on my own. His advice to me to “build consensus” and “try and take people with you” are lessons I practice and now try and impart on others. I also worked with him advising community and voluntary groups around the country. But, I knew him best as a lifelong friend of the family. Naz helped me during my time as local Councillor for Tooting ward for 12 year, as the Member of Parliament, and as a Minister. He would find the time to offer me his counsel and to advise on a range of issues from education, citizenship and values to eating properly and spending more time with my wife and daughters! Naz Bokhari was the first Deputy Headteacher – and subsequently Headteacher – of a British secondary school to follow the Islamic faith. That might not seem outstanding in any way in 2012– but it was in the early 1980’s when he accepted the positions. It was Naz Bokhari who helped allay fears and dispel the myth that a teacher was a Muslim couldn’t (or maybe shouldn’t) hold a senior position in a mainstream secondary school. Though he faced challenges in the role, his time as Headteacher of Ernest Bevin College can only be seen as a success; at the time of his retirement he had turned the school from one that was undersubscribed and underachieving into one of the most improved in Britain. GCSE candidates’ A – C grades rose from 18% to 60% under his guidance, and A-level results had a pass rate of 95%. His final OFSTED report paid tribute to his qualities of leadership. Striving to be the best that you can, is something taught in the religion Naz and I shared. The Prophet (PBUH) said: “If one does something, one should do it with excellence”. This was true of Naz – he saw the potential of the school, and its pupils, and drove the standards up – transforming the lives of hundreds of pupils. There is no doubt that he was a fantastic Headteacher, and one year on from his passing it is right that we remember him and all that he did to turnaround our school. But we’re here because Naz Bokhari achieved more than that. His greatest professional achievement was the encouragement he gave to future generations to follow his lead – and to break their own glass ceilings. As I have said, for me, and many of my school mates, it was an inspiration to see someone who looked like he did leading our school and commanding the respect of the entire school. Of course teenage schoolboys are reluctant to show any admiration for a teacher – but that doesn’t mean that we didn’t feel it. He was a role model. But it wasn’t enough for Mr Bokhari to just inspire and lead a fantastic school – he wanted to replicate his success across the country and develop other teachers to have the tools, knowledge and confidence to follow in his lead. We have heard Sir Iqbal Sacranie and Paul Robinson (the Director of Education from Wandsworth Council )speak about Mr Bokhari’s other achievements – from founding the Muslim Teacher Association, working on the General Teaching Council for England, and being a senior judge for the Teaching Awards – so I will not repeat them. Suffice to say that he has helped countless families, teachers and schools work in partnership to achieve the very best for their children and in so doing, has irrefutably benefited British society. Of course we are not just here to look backwards, but also forwards – and that is why it is a pleasure to attend the launch of the Naz Legacy Foundation. We have already heard from Naz’s son, Harris, about the wonderful work the Foundation will do to help support the lives of some outstanding young adults. The foundation bears more than just a name in common with Naz Bokhari – his own ideals run through it like a stick of rock. The foundation will annually recognise those students who overcome adversity and achieve excellence, despite personal or social challenges in their way. Like Naz Bokhari, the recipients of the awards will – I hope – be an inspiration not only to all who attend or work in Ernest Bevin College, but also to the wider community. Before I finish, I would like to leave you with two final thoughts; though I would not draw comparisons between myself and Naz, for fear of coming off unfavourably, I have no doubt that my own achievements would almost certainly have been limited without the influence of this humble, yet important, man. As a lawyer, I would regularly receive calls from Mr Bokhari after a big case to offer me his suggestions and congratulations. Apparently, I used to “err and umm” too much when on TV or the radio. I am hoping I don’t anymore! As a Councillor and then MP and Minister, when the smallest detail can be blown up to feel like the greatest obstacle or challenge, he also offered brilliant advice on remaining calm, positive, and overcoming the problem. Even when I visited him in hospital, when he was terminally ill, he would spend most of our time together discussing politics, the local Tooting community and asking about my family. And I still vividly remember one of the last things he said to Harris and me when we were with him. Now, I am clearly older (and much wiser) then Harris but he looked at Harris and told him to “make sure that you look after Sadiq and gives him whatever support he may need!” And he was quite firm in the way he said it. Now just think about that. You would expect anyone in a similar position to ask me to look after his son and family but no, his sense of duty and his values meant he told his, soon to be grieving, son to ensure he helped and continued to support me. This will always stick with me as will many other things about Mr Bokhari. This was the mark of the man; after a lifetime of accomplishment, when he had earned the right to talk about all the good he had done – and expect his guests to do the same – Naz Bokhari’s first concern was still for others. Last week was one year since his passing, and I know how difficult it has been for his wife, and for Hina & Harris. We all miss him. Mr Bokhari inspired us with his actions, and through the Naz Legacy Foundation his memory will be honoured. As Naz Bokhari said: “It is not what you do in your lifetime that really matters, it is the legacy you leave behind for the next generation to follow which makes a difference”. Thank you, and enjoy the rest of your evening.